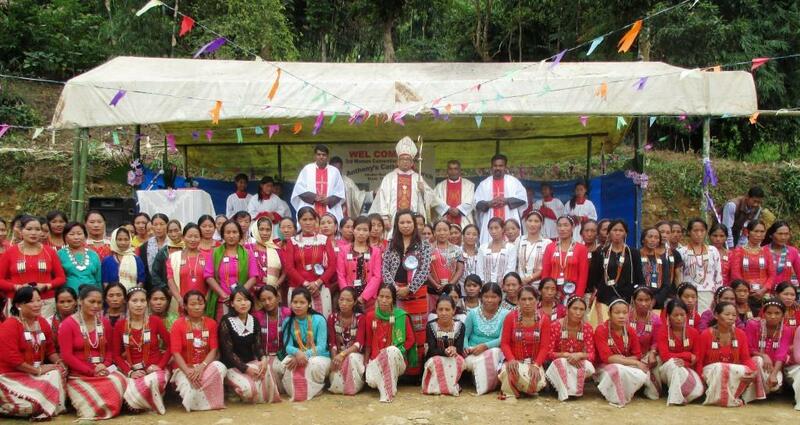 By the grace of God, we conducted women convention for the women of St. Francis Assisi Church, Dadam. As a part of giving more importance to the catechists, we gave chances for the catechists to take classes for the women. The classes were on ‘discipline in the church, The duties of a mother and Sacraments. They animated the programme very well. It started on 30th of October, and ended on 1st of November.of April, 2015. There were around 170 women from the villages of Dadam, Chinkoi, Moktowa and Hunkan. The programme was conducted in Hunkan village.